Browse: Home / Infernal Twin ~ a wireless security asessment tools. 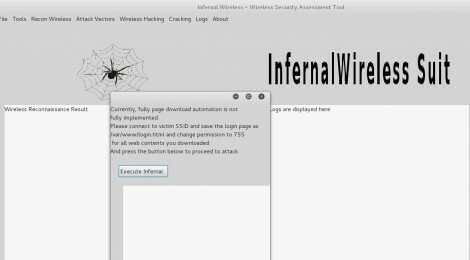 Infernal Twin ~ a wireless security asessment tools. 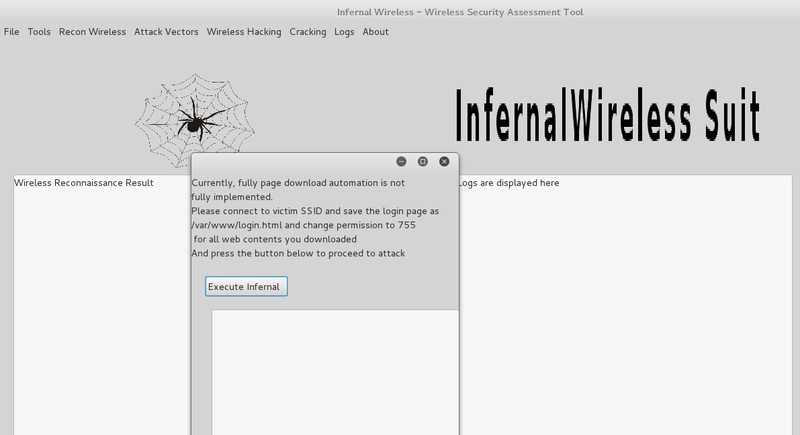 infernal-twin is a wireless security asessment tools. – python InfernalWireless.py (from the same folder where you codes exist) FOR RUN THIS SCRIPT. ← Sqlmap v1.0-dev-aa088aa released ~ Automatic SQL injection and database takeover tool.